I am a female with Dark Brown/Black hair and Dark Brown eyes. My birthday is on September 14 which makes me a Virgo. I was watching 'Q' music channel and came across the video. I loved it and kept playing it over and over and annoying my lil' sister ! 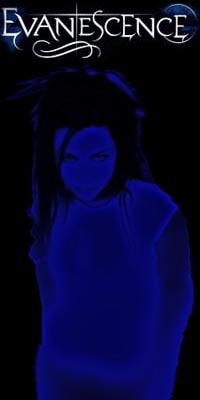 And then I went out and brought the album a couple of days later !I love Evanescence ! If you like Evanescence check out 12 stones and Creed they're under the same record label.